A little bit hippie, a little bit Gen-X, a whole lot of delicious. Remember the 90s? Long hair on guys wasn’t an ironic statement. MTV played music videos. It wasn’t that long ago, yet we can still identify even the smallest nuances that made the 90s a unique time to be alive. 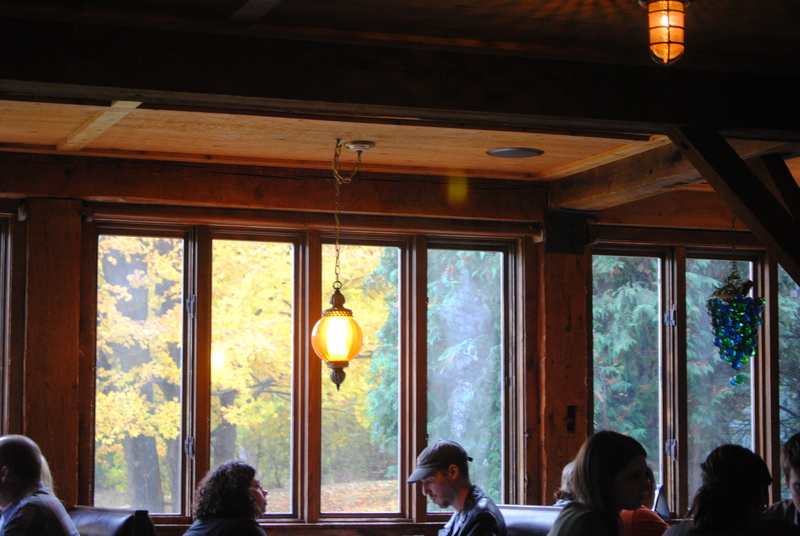 A little java hut in Waterford, MI called L.A. Cafe is one of the few restaurants we’ve seen that reaches back to that not-so-distant decade for inspiration. For this vibe to work, it’s all about subtleties. 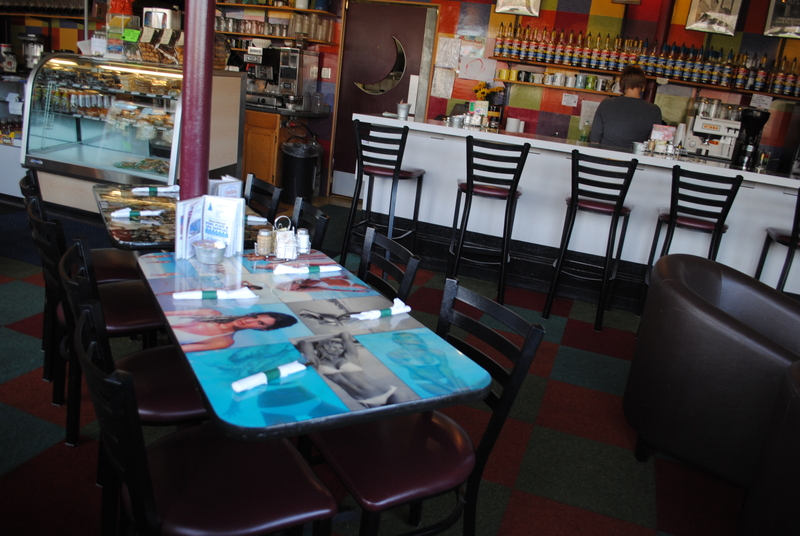 Some of the tables are plastered with pictures of 90s celebrities, the music selection always seems to lean towards artists that probably played at Lollapalooza or Lilith Fair, and in the corner of the coffee bar is an old iMac computer for patrons to connect to the (world-wide) web. 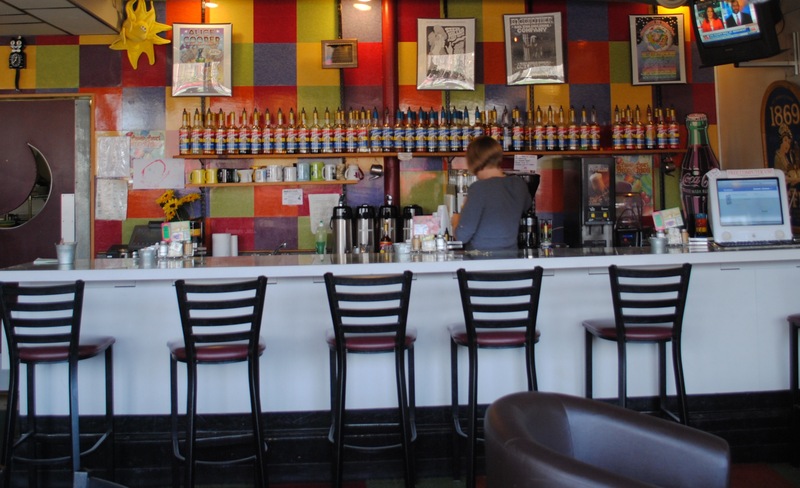 Some of the servers wear tie dye, Chinese paper lanterns hang from the ceilings, and peace signs are abundant- reminding us that much of the 90s aesthetic was created by channeling the 60s. The place is refreshingly well-lit with lots of sunlight and the high seating around the windows and low chairs in the middle of the cafe make it a really comfortable place to eat and a great venue for their Saturday open-mic nights. L.A. Cafe markets itself as healthy eating. They offer tons of vegetarian options, lots of teas, homemade soups, and “better” meat selections (like their great turkey burger). Come winter time, try one of their espresso or coffee drinks (the Peppermint Whip: Coffee, Hot Coco and Peppermint) or try a refreshing Italian creme soda in pretty much any flavor imaginable. 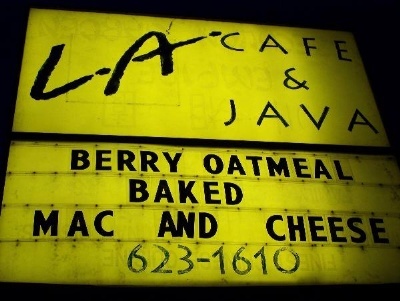 For food, I’ve been to L.A. Cafe so many times that I can safely recommend anything on the menu. During breakfast visits, Ash sticks with the pancakes (pecan are always good) and I usually go for what they call the Scromlette- a giant omelette with your selection of veggies/meat/cheese and a gigantic pile of hash-browned potatoes. For lunch try one of their grilled sandwiches- the High-Plains Drifter (Turkey, sprouts, guacamole, provolone) or the Good Mother (a plethora of veggies between two slices of bread). Don’t leave without getting a cup of vegetarian chili. L.A. Cafe is a diamond in the rough. Don’t be turned away by its odd location. If you’re going to be in the area (Clarkston, Pontiac, Waterford), don’t pass this one by! 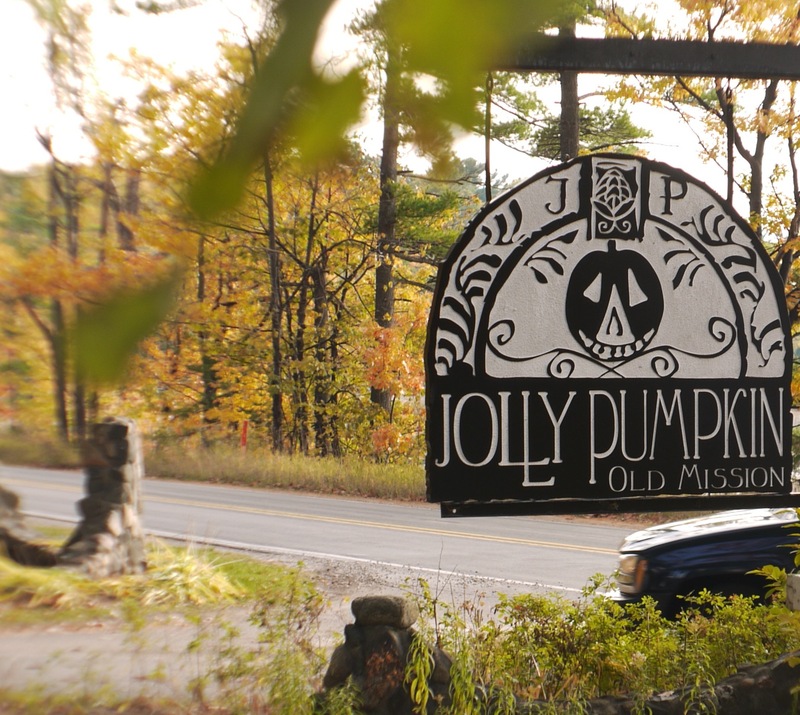 A trip to East Tawas is bound to be filled with beautiful lakeside views and extensive antique shopping, but when you start to get hungry from all that Michigan fun, you may find that pickins are slim. Well, blow me down! Barnacle Bill has got your back! I don’t know who Bill is, nor do I know why he has such an unappetizing title, but I do know he makes a good plate of fish n’ chips. Cool beard, too. Hey, we’re not going to say that Barnacle Bills is the best food in Michigan, but for a couple of hungry landlubbers, it did just the trick. The attractive lunch specials drew us in ($5 for a grilled cheese, soup, and a beer?!) But if you’re really a swashbuckling’ lad then you may be hungry enough for the unlimited fish n’ chips. While we only had one plate a piece, it was just what the meal should be – fried, salty and served with a lemon wedge. For a bar, Barnacle Bills was really damned friendly. Some towns have coneys or cafes where folks like to relax after work. East Tawas has a maritime-themed bar. Good for them, we say. 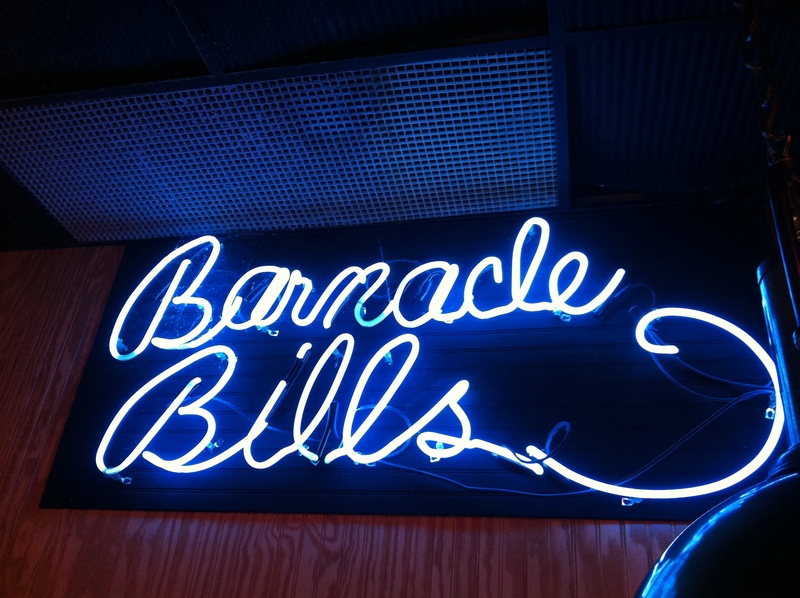 So take a load off from all your shopping and beach-combing with a cup of chowder at Barnacle Bills. Knock back a few beers, play some Keno or a game of pool, and swab the poop deck, ya scurvy dog! Or visit Bill’s Facebook page.